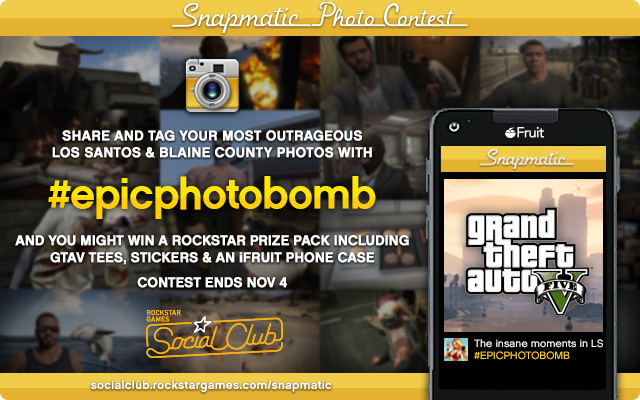 Rockstar Games is hosting a photo contest on the Snapmatic page of the Social Club. "Snapmatic photo-sharing from your in-game iFruit phone in GTAV and GTA Online makes it a cinch to snap and share that picturesque view from the peak of Mount Chiliad, the fifty car pile-up you engineered on the road to Fort Zancudo or that wild fistfight you stumbled into between Piswasser'ed derelicts at the local 24-7. Of course, all it takes is the work of one photobomber to drastically alter the outcome of whatever you were trying to capture." For all you compulsive shutterbugs out there, entrance into Rockstar's very first Snapmatic photo contest will run from right now through till end of day Monday, November 4th. With this inaugural contest theme of #EpicPhotobomb they want to see the best photobombs you can come up with. Whether it be a unexpectedly volatile pedestrian coming to clobber you, a scantily clad Trevor running amok in the middle of your self-satisfied selfie or a rival player causing an explosive disturbance while you calmly attempt to snap your sweet Los Santos Custom-ized hot rod. Rockstar will pick out five of their favorite awesomely amusing and artfully composed iFruit camera pics that fit the bill and will share the winning shots later. 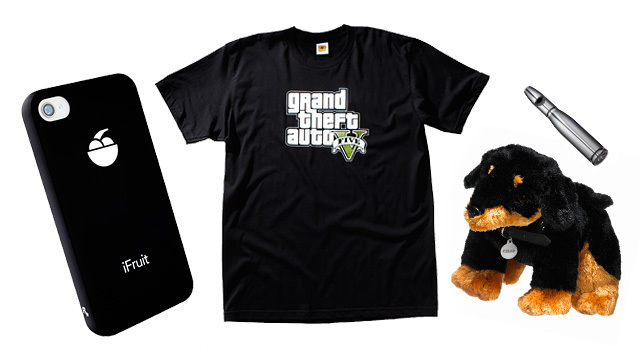 The five winning photos will also each score a sweet Grand Theft Auto V prize pack including an iFruit phone case and phone decals plus an official GTAV tee and the sought-after Chop stash stuffed animal. 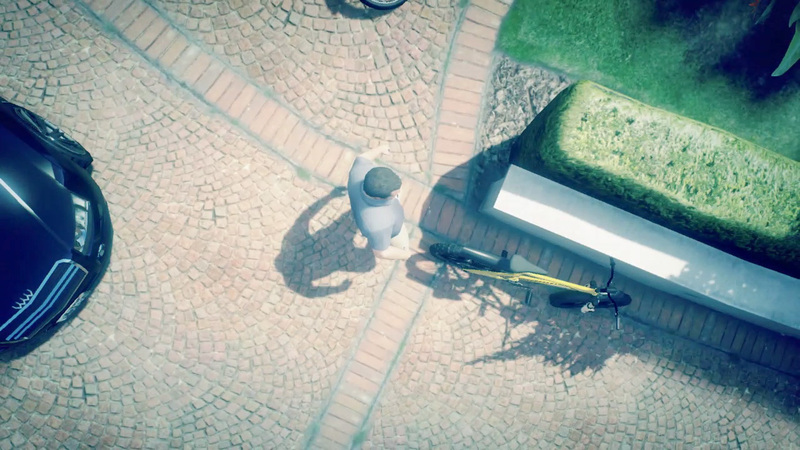 Originality and inspiration will be rewarded! To enter, Social Club members can upload photos from the in-game iFruit phone to the Snapmatic page at socialclub.rockstargames.com/games/gtav/snapmatic. When logged in at the Snapmatic page, you can go to "My Photos", to find your photo and add the hashtag #EpicPhotobomb to automatically have it considered for entry. Rockstar would also like to remind all hopefuls to make sure your contact email information is up to date in your Social Club account settings and also encourage you to link your Facebook and/or Twitter accounts to your Social Club profile so that they can easily contact you to send prizes should your picture be chosen. Rockstar Snapmatic Photo Contest: #EpicPhotobomb - Get your in-game camera ready for Rockstar's first Snapmatic Photo Contest. The theme is #EpicPhotobomb.